Meet the OASIS for Hair Team! LAURA - "Making clients leave Oasis for Hair feeling better about themselves than when they walked in gives me a real buzz." Laura is the manager of the Oasis for Hair Team. She has a bright, bubbly personality and enjoys everything about her hairdressing career. Laura began hairdressing back in 1995 and she still loves her job as much as ever. "I really love meeting people, and being able to make them leave Oasis feeling better about themselves than when they walked in gives me a real buzz." Laura is very skilled in all aspects of hairdressing and finds wedding and formal styling of particular interest. "I know how exciting your wedding day is and I love being a part of the big day. Your hair is so important, not only for the look, but how it makes you feel as well." Laura also enjoys colouring and cutting and knows the value of a great cut. "It needs to be great, not just when we style it at the salon, but it must look great and be easy to manage long after you're home." Being at OASIS for Hair for over 7 years, Laura has hundreds of regular clients and sees many of them month after month. "They're part of the family!" "I love to catch up on their news, and I know they get a great cut because I know their hair and lifestyle so well." Call Laura at OASIS for Hair for an appointment on (02) 6288 1535. Vicky - "I have some 3rd generation clients which I think shows how passionate I am about my career." Vicky is an OASIS for Hair icon. She has been busy shampooing, cutting and styling at OASIS for Hair for over 13 years now and with over 43 years of hairdressing that's hard to top! Vicky loves her job and the team atmosphere at OASIS for Hair. "That's why I have stayed for so long. I have some 3rd generation clients which I think shows how passionate I am about my career." Vicky has a wealth of hairdressing experience and she knows what's a passing trend and she has seen the styles that last. "The basis of great hair has to be a great cut and that's what you'll always get at OASIS for Hair." 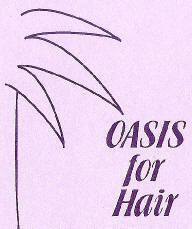 Call Vicky at OASIS for Hair for an appointment on (02) 6288 1535. Ali - "I really enjoy hairdressing and working at Oasis for Hair - it's my dream job." Ali has been with the OASIS for Hair team for years and she is an amazing talent. "I love working at OASIS for Hair - it's loads of fun. The clients are cool and the staff I work with are great - I am learning so much from them every day. I love making people feel good about themselves and having a chat a long the way. I really enjoy hairdressing - It's my dream job and how many people can say that?" Ali is wonderful at head massages and she does an amazing job with a straightener. "I have curls myself, so I know how important a good straightening job is - its got to last." 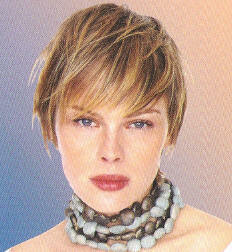 To book an appointment with Ali or any of our talented hair specialists call OASIS for Hair on (02) 6288 1535.